Dodge gets its Supercar act together with an aggressive midyear Super Bee with a venomous sting. 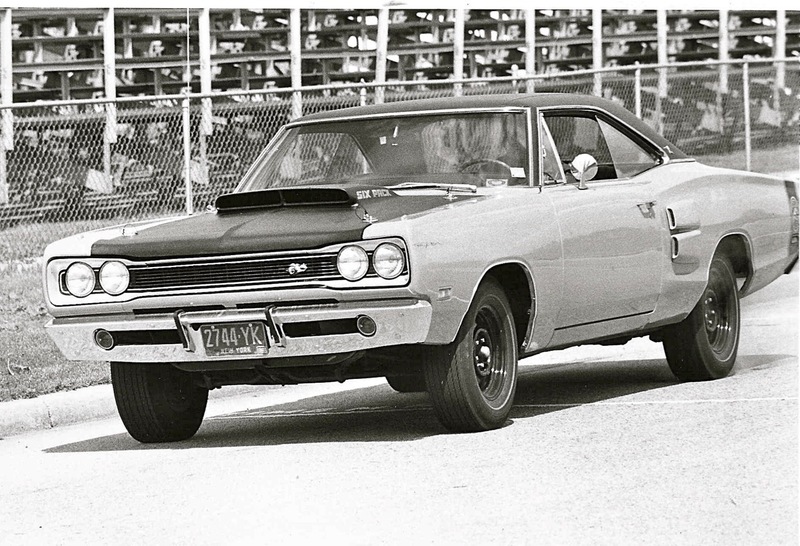 Built off the midsize Coronet platform, the Super Bee was packaged for testosterone-infused enthusiasts. Like the streamlined Charger 500 and Charger Daytona, Detroit’s Creative Industries handled final assembly of Dodge’s in-your-face Super Bee. With its lift-off scooped fiberglass hood, tri-power 440 Wedge, beefy Dana 60 rear end, status graphics, taut suspension and “electric” colors, the Super Bee was not just another poseur. On February 19, Creative received the first 100 383 Coronets for Code A12 conversions into 440/390 Super Bees. Our tester was from the first conversions. Later, 440 engines were installed at the Chrysler assembly plant. There was also a Code A12 Road Runner powered by the same engine and fitted with a matte-finish black, lift-off fiberglass hood. We tested a ’69 ½ Super Bee in the September 1969 issue of Hi-Performance CARS. It was powered by the new 10.5-to-1 compression 440 Six-Pack engine, rated at 390 horsepower at 4,700 rpm and 490 pound-feet of torque at 3,200 rpm. A stout performance engine, it boasted forged pistons & rods, high-lift 276/292-degree-duration cam with 54 degrees overlap, tuned cast-iron exhaust manifolds and low restriction duals. Air conditioning, power front disc brakes and cruise control were not available. 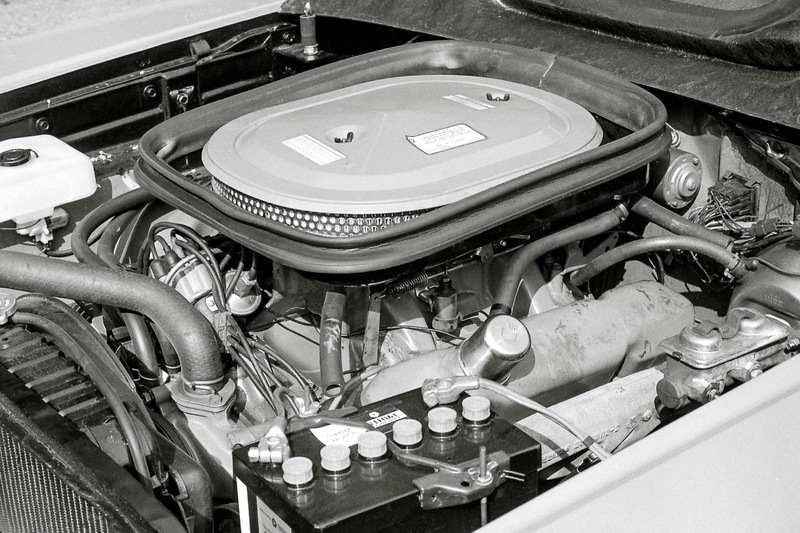 Early A12 conversion engines utilized Edelbrock aluminum tri-power manifolds, engineered and designed by Chrysler. Once the 440/390 became an RPO on other models, Chrysler cast their own six-barrel manifolds. When the vacuum-activated end carbs opened, total airflow for the three Holley two-barrels was an impressive 1,000 cfm. Totally stock and with a 3.55 Sure-Grip Dana 60 rear, our four-speed Super Bee recorded average 0 to 60 times of 6.6 seconds and track times of 99-100 mph in the 14.60s-14.80s. Our best time was 100 mph in 14.65 seconds, shifting at approximately 5,500 rpm. 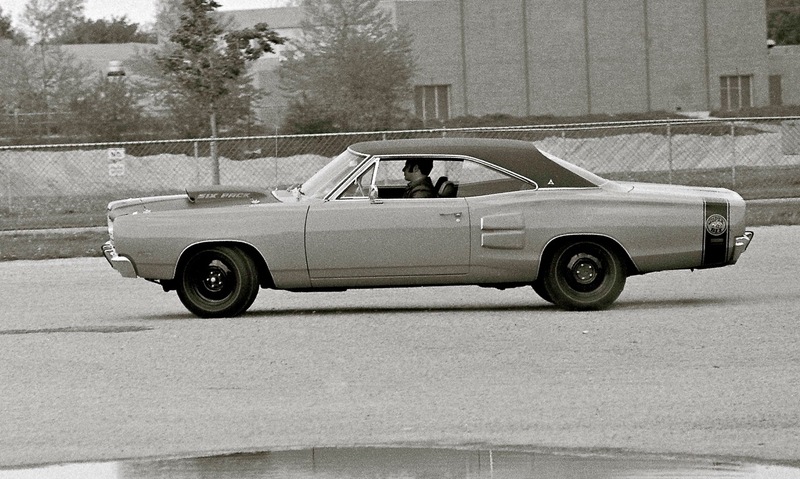 Chrysler engineers paid a lot of attention to the Super Bee’s handling and traction qualities. Front 0.92-inch torsion bars were used as well as a 0.94-inch sway bar. Left side rear springs received five-leafs plus two half leafs and the right side springs had six leafs. Handling was excellent, but its manual drum brakes left a lot to be desired. The scooped fiberglass hood looked fantastic, but also presented problems. There was a security issue since only four hood pins held it in place. Checking the oil became a two-person job and the scoop provided easy entry for water when driving in the rain. 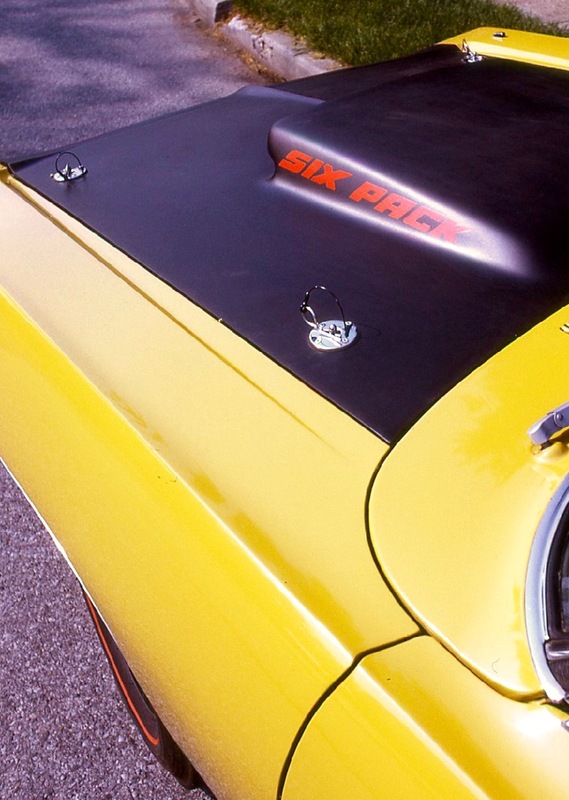 Unlike fiberglass Corvettes with ignition shielding to ward off radio interference, the Super Bee lacked protective shielding. Its exhaust sounded much better than its radio! Although packing 35 less horsepower than the 426 Street Hemi, the tri-power 440 was a more flexible street engine with incredible torque. It was way easier to live with and I found it a better street performance engine. I would have preferred that our tester had a TorqueFlite rather than clunky four-speed. 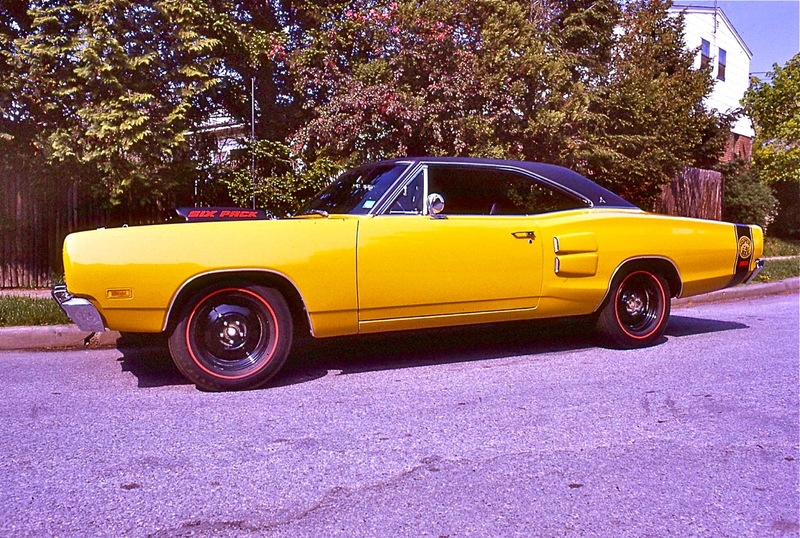 Either way, the Super Bee had the sting Dodge needed to score with serious enthusiasts. I liked the black and white photo of the engine bay. The proper air cleaner drain tube on the drivers side closest to the firewall is easily visible. You do however have some facts wrong in this article. My A12 was acquired in September of 1989, so I am pretty up on many details of this car. First, the total total CFM’s of the induction system is not 1000 CFM’s. The center carburetor is 350 CFM’s and the outboard carburetors are 500 CFM’f each. This totals an impressive 1,350. Next you have your rear leaf spring information backwards. It’s the left side that has the 6 leaves and it is the right side that has 5 full leaves plus 2 1/2 leaves. My 11×3″ drum brakes work just fine. CLUNKY four speed?? I beg to differ. Maybe on Broadway in upper Manhattan, it could be a nuisance for someone inexperienced with a clutch pedal. It is a shame that a novice could buy your book, or read this article and arm himself with misinformation. Sad. I love everything about my Bee.